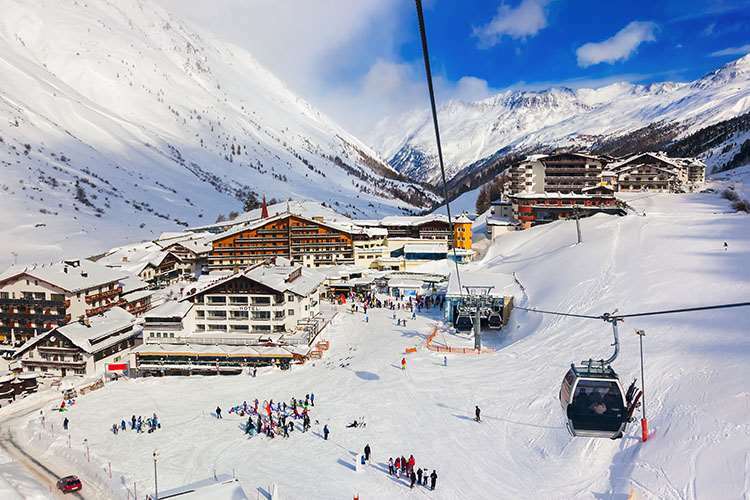 Situated close to the village centre and to the Festkogel gondola the Alpenaussicht is run by the Ribis family. As the name suggests (translation 'alp-view'), the hotel has a great location (opposite Hotel Hochfirst) with wonderful views of the surrounding mountains. Tastefully decorated in a light, modern style it retains all the qualities of a traditional Tirolean hotel including the beautiful wood panelled decor and high standards of service. 2 people on half board sharing a small room (20m2) with Austrian twin beds, private shower, WC and balcony. Standard rooms (27m2) also available at a supplement as are family rooms (35m2) with separate WC. Standard rooms and family rooms sleep up to 4 (maximum 3 adults or 2 adults and 2 children) and consist of one room with Austrian twin and double sofa bed. Small room for sole use is available on request at a supplement. All bedrooms have cable TV, hairdryer, safe and balcony.